I’ve eaten enough chocolate to know that not all chocolates are created equal. One milk chocolate can taste completely different from another. While I love all chocolates, there are certainly some that I love more than others. Add Guylian Belgian Chocolates to the short list of my favorite chocolates. Guylian “ultra-indulgent” luxurious chocolate seashells are 100% pure, silky smooth, dark and white Belgian Chocolate and are filled with rich, decadent creamy chocolate praline truffle. The Guylian brand dates back to the late 1950’s when Guy Foubert, a passionate Belgian Chocolataire married his love, Liliane who then joined names creating Chocolaterie Guylian. Today, Guylian crafts the finest authentic Belgian Chocolate Truffles, utilizing the original handmade recipe of Guy and Liliane. The original signature truffle recipe is still made in small-batch copper kettles exclusively by Guylian’s Master Chocolatiers in Sint-Niklaas, Belgium. One of the things that you’ll notice about Guylian Belgian Chocolates is how nice they look. Each chocolate is carefully shaped into delicate, sea-inspired shapes, such as a sea-horse, sea shell, or a clam shell. The Milk Chocolate truffles are swirled with white Belgian chocolate, creating a unique marble appearance that makes each chocolate special. Some of the chocolates are more milk than white, while others are more white than milk. But the best part for me, was once I reached that delicious chocolate truffle center. It is creamy and smooth with a wonderful hazelnut flavor that takes eating chocolate to a whole other level. Guylian Extra Dark Belgian Chocolate Truffles are just as special. They have 74% dark chocolate seashell shapes with melt-in-your-mouth truffle center that is pure chocolate bliss. I love that the shells aren’t thin, but have a good thickness to them that encapsulates a dark chocolate hazelnut praline. Guylian Belgian Chocolates are more than just chocolates , though. They can also be paired with wines, coffee, tea or even beer to create indulgent pairings for your palette. A glass of wine with a box of truffles doesn’t sound bad to me at all. 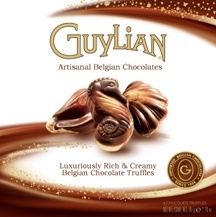 You can purchase Guylian Belgian Chocolates in retailers nationwide. They are available in various truffle box sizes, as well as individually wrapped chocolates or in no-sugar added chocolate bars. Sometimes they’re seasonal items, so keep your eye out and grab this great gift when you see it. One winner will receive a box of Original Artisanal Belgian Truffles. Leave a comment sharing which Guylian Belgian Chocolate you want to try the most. +1 “Like” Guylian Belgian Chocolates on Facebook. +1 if you follow Guylian Belgian Chocolates on Twitter. Giveaway ends at 11:59 PM EST, July 22, 2011. I’d love to try their milk chocolate truffles! I would love to try the Milk Chocolate Truffles. “Like” Guylian Belgian Chocolates on Facebook. My pick would be the dark chocolate truffles. 1) I am a confirmed email subscriber. 2) I am a confirmed email subscriber. I’d like to try their dark chocolate truffles. I’d love to check out the milk chocolate truffles! I’d like to try the Dark Chocolate No Sugar Added Bars. OMG…I want the individually wrapped milk chocolate truffles. They look so yummy! The Dark Chocolate Truffles look fabulous! I would love to try the truffles!! Yum! That extra dark belgian truffle looks amazing! Id pick it anyday! The Guylian’s Temptation is the chocolate I would like to try the most! I most want to try the milk chocolate truffles. drool. The Extra Dark Chocolate Truffles would suite me. I would like to try the Individually Wrapped Milk Chocolate Truffles. The chocolate truffles look delicious. Tough decision! I most want to try the Extra Dark Truffles! I would love to try the Extra Dark Chocolate Truffles. I”d like the extra dark chocolate truffles! I’d like to try the chocolate Belgian truffles. Thanks for the chance. their sugar free chocolates sound like a great choice! omg the chocolate truffles look soooo good! I would like the truffle box. I’d like to try the individuals of the dark chocolate truffles! I’d love to try the Guylian Extra Dark Chocolate Truffles. Following @WiCProject on Twitter @hle123. Subscribed to The WiC Project via email. The Dark Chocolate Truffles would be my first choice. I’d most like to try the Chocolate Truffles Selection with Chocolate Truffles and Extra Dark Chocolate Truffles. I “Like” The WiC Project on Facebook as Gaye M.
(1) I subscribe to The WiC Project via email. (2) I subscribe to The WiC Project via email. 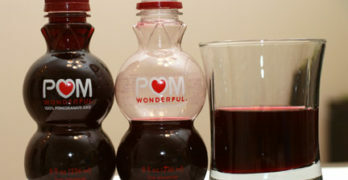 is what I liked after going to their site. I’d like the dark chocolate no sugar added bar. Like Guylian FB as kyhere here. The the WIC Project FB as kyhere here. Following Guylian_Chocs twitter as ky2here1. Following WIC Project twitter as ky2here1. I like the seahorse chocolates! I want to try the Extra Dark. The chocolate seashell truffles look amazing. Truffles . yes Truffles. Milk Chocolate , Dark Chocolate. It doesn’t matter . I would love to try the individually wrapped chocolate truffles! I would love to try their Dark Chocolate Truffles! I like the seahorse chocolates. Thanks. I’d like to try the milk chocolate truffles. i would love to have milk chocolate! Being a diabetic, I’d love to try the milk chocolate no sugar added bar. The (milk) Chocolate Truffles look like they would be my favorite. I’d love to try their Milk Chocolate Truffles ! i follow Guylian Belgian Chocolates on twitter – js22222222 . i follow The WiC Project on twitter – js22222222 . I’d like to try their dark chocolate bar. The Guylian Temptations sound YUMMY! I subscribe to you by email at the email address entered at the top of this entry form. I’d like to try the Individually Wrapped Chocolate Truffles Selection. “Liked” Guylian Belgian Chocolates on FB- Quanda. 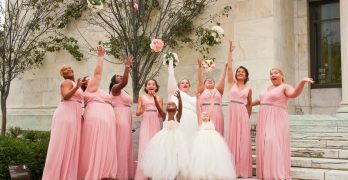 “Like” your Facebook page – Quanda. Follow Guylian Belgian Chocolates on Twitter @Naddez. I want to try the Milk Chocolate Truffles. 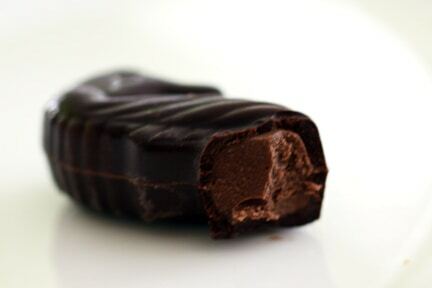 I have friended the chochlete company that is givin away chochlet I do not know how to spell it!But I want some! Yum for milk chocolate truffles!